Poor Mr. Bowers. In addition to being cursed with a huge bulbous balloon head, he has no end of trouble with those doggone tradesmen and assorted underlings who just don't seem to know their place. They're cocky, they charge too much, they even occasionally make a pass at Mr. Bowers' strikingly handsome (in a freakish, inflated-headed sort of way) wife. I do love the artwork of F. M. Howarth, although I realize that it is definitely an acquired taste. Those finely-wrought giant heads of his make the presence of his signature seem like an utterly unnecessary appurtenance. 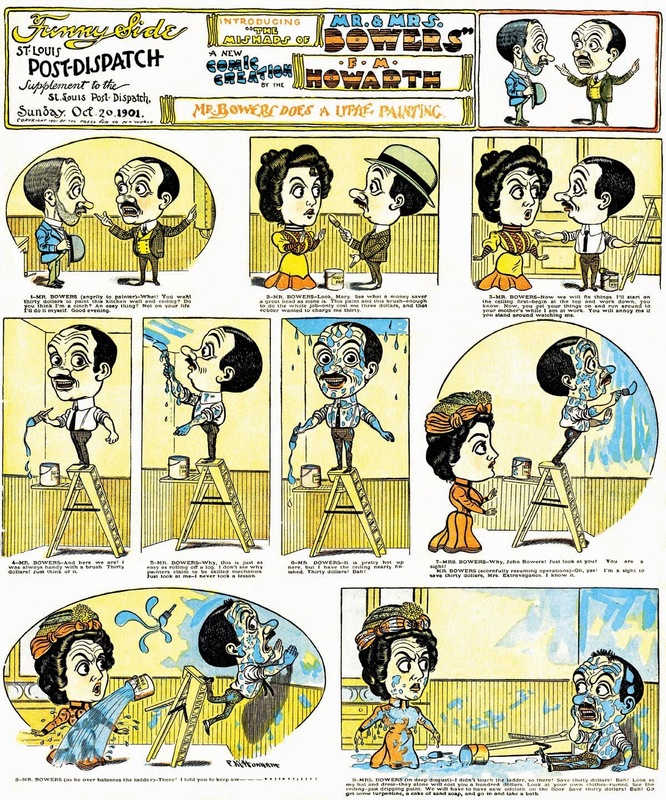 Anyone can be an art-spotter for Mr. Howarth's work with a single glance. 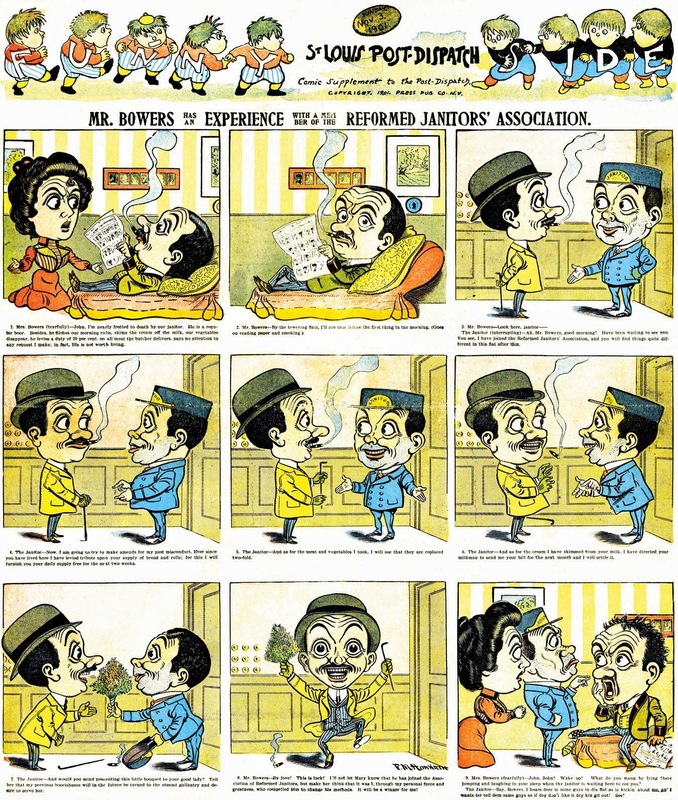 Mister Bowers ran in Pulitzer's New York World from July 21 to November 10 1901, according to Ken Barker's World index. As we see above, though, Pulitzer's other flagship paper, the St. Louis Post-Dispatch, apparently started running the feature well later, on October 20. Why this is I don't know. Perhaps the Post-Dispatch was running a local feature in that space earlier on.